Let me know if use activated charcoal to treat anything, or if there is anything else you can think it is good for? I’ve tried the tooth paste – couldn’t get used to the black clolour though! Sounds great – I’ll look out for this. I have tried a few face masks and face washes but found them all quite drying but it might be just my sensitive skin! Fascinating, great to read about this. I have used the face mask and nose strips and loved them both. 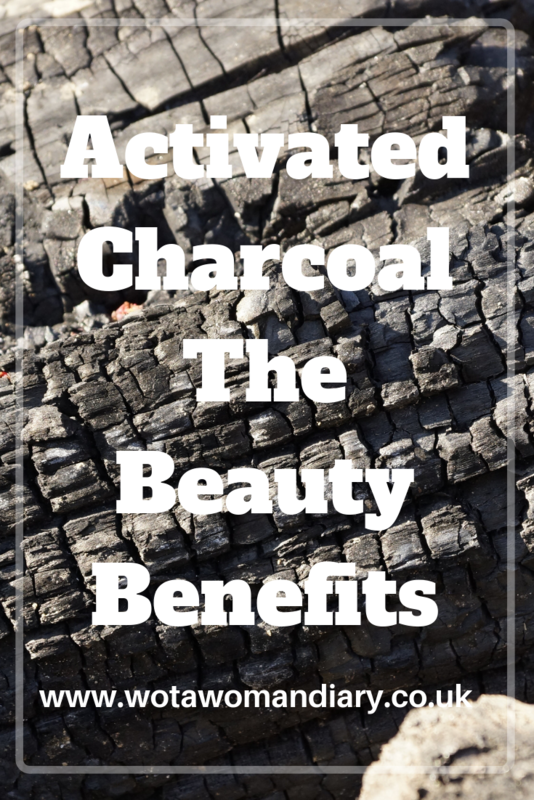 I never realised all the benefits of charcoal! It’s fascinating that it can help in so many ways. Everyone should be very careful with any treatments that might involve ingesting it, though, as it can absorb medications, so do check with your doctor that it’s safe for you first. Like the sound of the toothpaste I’ll definitely be trying it out, is there a particular brand that does it or are there lots to use from do you know. I’ll be passing on the benefits to my sister too who is an acne sufferer. I wasn’t impressed with the performance of charcoal toothpaste. Thanks for the recommendation. I’ll be sure to give it a try! Great tips! l had no idea Charcoal could be used like this!. As someone with multiple food intolerances, I always keep some activated charcoal capsules on hand to ease bloating if I inadverantly eat something that doesn’t agree. Just got some for my teeth in a tub too. This is a very interesting read which I shall go through with my wife later! I was wondering about using charcoal – but it has more benefits than I knew about. Great article. I have never thought about using charcoal as a beauty product before. I shall have to try it. Not sure, bone char does not sound nice! We never go abroad without charcoal capsules, wonderful for upset tummies so I guess charcoal works within and without. Didnt realise its quite versatile isnt it? I found your piece absolutely fascinating as I have previously been advised to try it for digestion but am unwilling to do so. I am up for trying one of the non-ingested uses, though! Never thought of using charcoal before! Need to try the shampoo! I must admit I have tried a charcoal activated toothpaste before which was really good and helped to brighten my teeth. I would next love to try a face mask with charcoal ingredients. Never tried anything with charcoal. Not sure about black toothpaste. Thanks for this, I have really sensitive teeth, do you know if it;s ok to use with that? This is such a great post! I would love to try the teeth whitening, it is amazing to read it works! Didnt Queen Elizabeth brush her teeth with charcoal? I’ve used the face mask and tooth paste. Not sure if it was the toothpaste brand as it didn’t seem to do any good. I am glad you explained that. I have been intrigued about charcoal products but have not tried them – now I have the motivation to give them a go, thanks to you. Wow – I didn’t know that charcoal had all these uses! I do love a pamper session. Why haven’t I tried this yet! I tried a charcoal toothpaste years ago and didn’t get on with it but it might be time to try it again! I have not long started using this. I love the toothpaste and the soap.